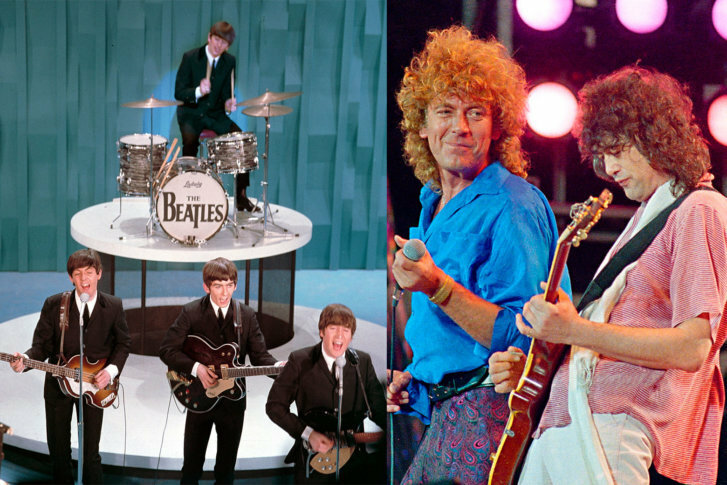 Vote for your favorite music artists of all time in our "Battle of the Bands" bracket. March Madness is officially here for college hoops fans, but it also brings a fun annual tradition on the WTOP entertainment page. In past years, you’ve voted for your favorite movies and TV shows, but this year we’re asking: Who are your favorite music artists? We’re now in the Sweet 16. 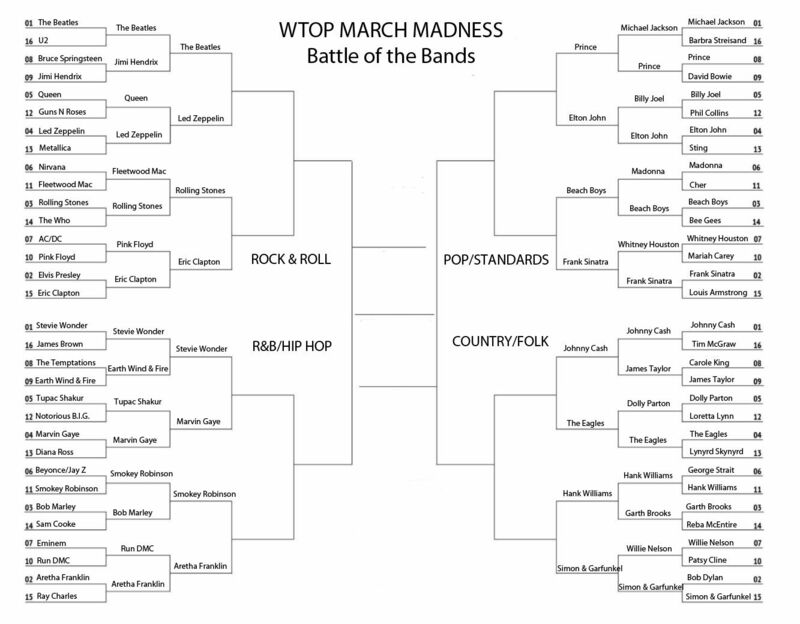 We’ve divided the bracket into four genres — (1) Rock & Roll, (2) R&B/Hip Hop, (3) Pop/Standards, (4) Country/Folk. Yes, we realize there are many more subgenres, but this is the best we can do within the confines of a four-corner bracket. Click through the gallery below to vote! Sweet 16 voting closes at 6 p.m. Wednesday.